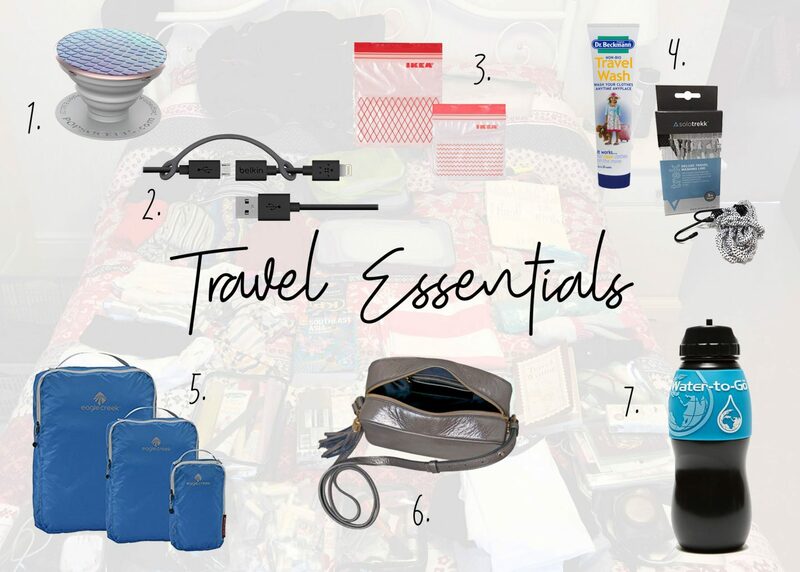 What was reallyyyy useful about my mini trip to Morocco and Spain just after I left my job, was that it gave me a test run of what to take travelling and what to leave at home! I massively over packed and had an 18kg rucksack to carry around with me (I had way too many jumpers with me, I just couldn’t decide). It’s hard to pack when you know it’ll be a bit colder and you need more layers, jeans and jackets etc plus beach wear haha! When I was away I literally took my packing list and crossed off so much ahead of this trip knowing I wouldn’t need it. 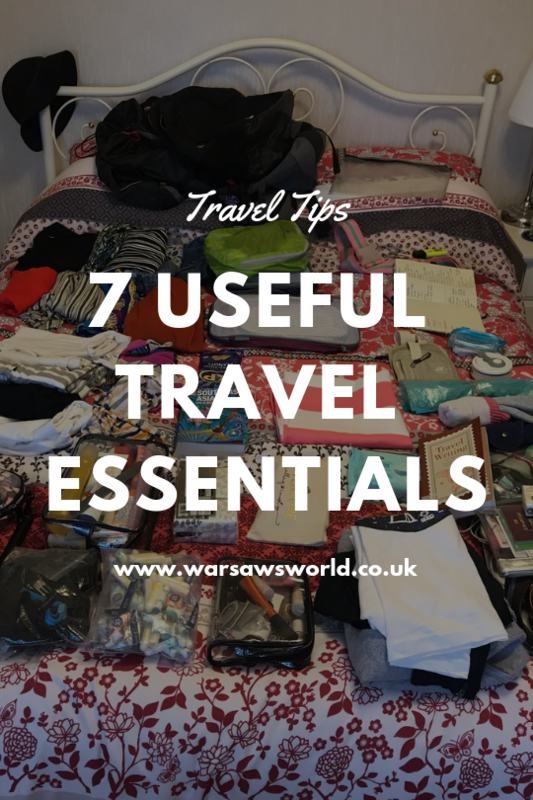 The other tricky thing for packing when you go for 2/3 weeks is that you could take most stuff with you and not wash anything whereas with a longer trip there’s guaranteed washing required so it’s been much easier to pack for! Pop socket* – as it’s stuck on to the back of my phone, people are always asking me about this. I just find it so handy when I’m away (or not away to be honest) – it gives you some additional grip on your phone. Great when you’re leaning over things to take photos, taking selfies and proping your phone up to watch something on the go. There’s loads of cases that have them built in now, but the original Pop Socket is so sticky you can move it between cases, I’ve had it on three now! Dual ended charging wire* – I actually have a wire from Primark which has both a micro-USB and an iPhone end to it, which you can switch between. Great to have if you own devices that require each one (iPhone, kindle, camera etc). It’s also really long which comes in use if the plug is really far away from your bed or something. Here’s an alternative from amazon, which basically does the exact same. Sandwich bags – wet beachwear? Dirty pants? Toiletries that might leak? Random things you’re not sure where to put? Get yourself some sturdy sandwich bags in a variety of sizes. Easy to shove in a side pocket and SO handy. I LOVE these IKEA ones* (I’m sure they’re great for butties too), but they work a treat when you’re away, anywhere in the world. Travel wash + line – this travel wash* is my absolute fave and it works great as a stain remover too! This elastic washing line* is peg free, with hooks at the end it’s perfect for hooking onto a balcony, or even on your rucksack if you need to dry your towel on the go. Useful travel essentials even for a short trip in my opinion. Packing squares – these are one of those items my dad has always raved about and I used to roll my eyes. I then got some for my trip to Vietnam and fell in love with the organisation of my bag. Cue socks & pants in one little bag, tshirts and dresses in another and shorts etc in another. SO easy to find stuff in your rucksack and keep things compact. Not for everyone but I would recommend you give them a try, I’ve had three cheap squares from amazon to try out how useful they are until I got these new Eagle Creek ones for Christmas ahead of this trip, check them out*. Cross Body bag – my amazing team at IBM got me a gorgeous Aurora London cross body bag bag (Gigi is the style) as a leaving gift which has an awesome passport sized pocket in and a handy slot for cards. I fully recommend getting a decent sized bag for easy access of important documents whilst travelling around and, it’s also just useful to have for days when you’re not using a day rucksack or if you’re popping out in the evening. Similar styles of course are in all high street stores. If you’re a male traveller you might want to consider a more sporty style or bumbag, because they are super useful! Water bottle with filter – after my plastic water bottle panic on my insta story whilst I was in Morocco, I did some research into the alternatives and this Water To Go bottle has come out on top! Costs about £22, and then replacement filters are about a tenner each, however they do last for 3 months. The idea being I can literally get water from ANYWHERE, taps all over the world, even a stream whilst hiking and the filter technology makes it safe to drink. It is of course a slot smaller than a litre/1.5l bottle I might buy normally but given the flexibility of water sources I’m hoping that won’t be too much of an issue – updates to follow. Fancy trying for yourself, have a look here*. *I’m using affiliate links in this post. This doesn’t make any difference to your viewing of the post.